Opening hours: Opening hours are traditionally 10am-4pm and then 5pm-8pm, though these times may vary. Nowadays, however, it is more common for shops to open continually 10am-10pm. El Rastro is said to be the largest flea market in Europe with some 3,500 stalls covering the winding streets of the oldest residential part of Madrid. Remember that the real finds are mostly located on one of the side streets and always keep a close eye on your belongings, as it is a popular area for pick-pockets. 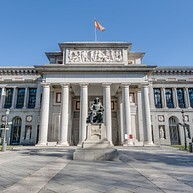 Madrid’s three major art galleries are all within a short walk of each other, and together they make up a magnificent display illuminating the history of Western art. Each one of the galleries is so large, that the Paseo del Arte triple ticket may seem like an invitation to exhaustion. However, once you have visited one, you have the rest of the year to visit in the other two. 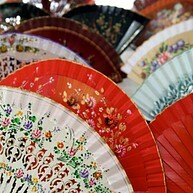 The Prado is deservedly one of the most famous museums in the world. Since the gallery first opened almost two hundred years ago, its collections have grown to include over 7000 paintings (although around 1500 are currently on display). The collection includes Spanish art from Velázquez and some dark works of Goya, as well as some works by a number of Flemish masters: Peter Paul Rubens, Pieter Bruegel and Anton Van Dyck. The eclectic Thyssen-Bornemisza complements the Thyssen Prado and the Reina Sofia with works representing 17th-century Dutch painting, Impressionism, Russian Constructivism, and pop art, amongst other styles. 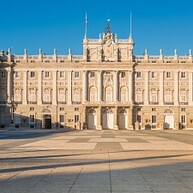 The biggest royal palace in Europe, the Palacio Real de Madrid, has a whopping surface of 135,000 m2 and 3418 rooms. Not only is the building itself a beautiful attraction but it also offers glorious gardens outside and beautiful frescoes, furniture and paintings inside. This magnificent creation dating from 1764 was built to replace the Alcázar castle that had burned down thirty years before. Visitors are given access to almost the entire palace, including the Armoury and Pharmacy. 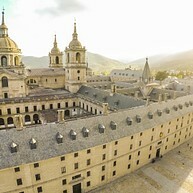 The Monastery of San Lorenzo de El Escorial is located about 50 kilometres Northwest of Madrid. It was founded by Felipe II, and was built to commemorate the victory at the Battle of San Quintín. The work began in 1563 and was finished by 1584. Its location is said to be decided on the advice of astrologers, doctors, philosophers, quarrymen, theologians and architects. El Escorial was built on the idea of maintaining symmetry and austerity, while also showing the power of the crown of Spain. It has many noteworthy sights, such as the servants' quarters, the Queen’s quarters, the Infante’s (or Upper) house, and the Prince’s (or Lower) house. 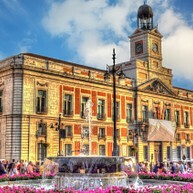 Plaza Mayor is the main square in Madrid, measuring approximately 130 by 95 meters. 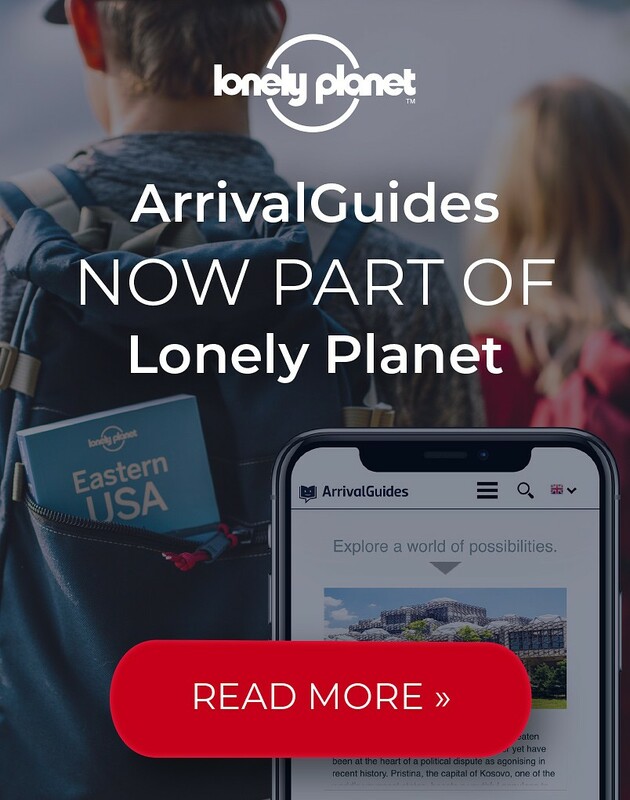 There are no less than nine entrances to this majestic plaza and it is a great place to sit down, have a coffee and watch both tourists and locals stroll by. Puerta del Sol means Gate of the Sun and is the most famous square in Madrid. It is a common place to meet up with friends, and after dark it fills up with loads of people. 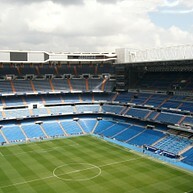 It is also a good reference point when choosing accommodation, because everything is close to Puerta del Sol. The Teleférico is a comfortable way of seeing most of the major the sights while sitting down, provided you're not afraid of heights. This cable car was first built as part of an amusement park and at places it reaches a height of about 40 metres above ground. The ride takes ten minutes and once you've reached the destination Casa de Campo Park you can enjoy a spectacular view of the city, as well as grab some food at the restaurant. 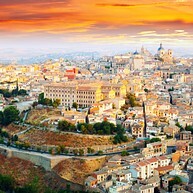 Toledo is a World Heritage city located 70 kilometres south of Madrid. It sits in the centre of the Iberian Peninsula, 529 metres above sea level, surrounded by the Tagus River. The city has a fascinating history, formerly hosting Christian, Islamic and Hebrew culture, which shows in the city's varied architecture. In Spanish this park is called "Jardines del Buen Retiro" or "Parque del Buen Retiro" which means "the park of pleasant retreat". 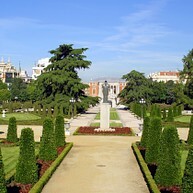 It is, with its 350 acres, one of the largest parks in Madrid and became open to the public in the late 19th century - before that it belonged to the Spanish royal family. Some of the things you can enjoy here, with the right timing, are puppet shows, book fairs and free concerts. You can also rent a rowboat and paddle your way around the Estanque, or enjoy a horse-drawn carriage. The Naval Museum is considered one of the most important naval museums in the world, containing a variety of historic items from the staggering history of the Spanish Navy. The most famous exhibit is the Mappa Mundi, dating back to 1500. The exhibits are displayed in chronological order and feature a treasure trove of figureheads, paintings and naval charts. 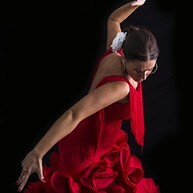 Located in the heart of Madrid, Cardamomo is the only Tablao Flamenco in Madrid, recommended by the New York Times for combining Classic Flamenco with the new proposals and innovations. The dishes are all prepared with natural ingredients of the highest quality.